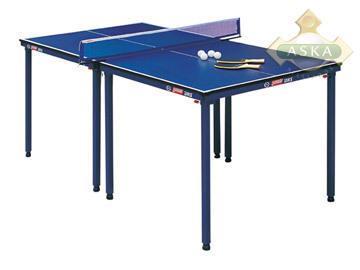 This multi-function table, specially designed for family use, is suitable for playing table tennis, chess or cards, reading or writing as well as having meals. Although its size is only one third of a standard tennis table, its physical functions are equivalent to those of a standard one. Each leg is folded separately.